Just over the weekend,Neneko and Momo was in town for thier guest apperance at Fuwa Fuwa Run's Debut Event. Speedknight.com was there to cover the event itself and was given the honour in covering thier entourage in the city's too. 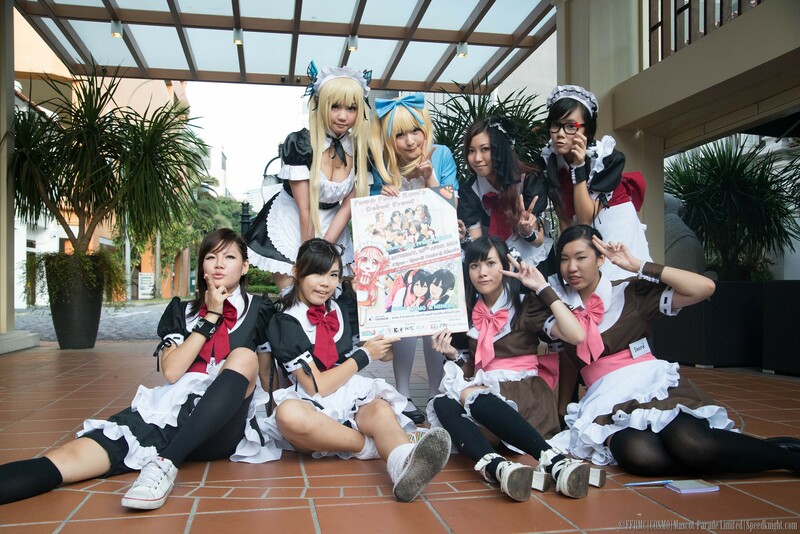 Fuwa Fuwa Run Maid Café debuts with a pledge to ‘Cosplay for a Cause’ in a bid to raise awareness for Meido Cosplayers in Singapore and raise funds for Singapore Children’s Society’s corporate fund raising programme – 1000 Enterprises for Children-in-Need. Unlike other brick and mortar café concept, a team of specially trained Meidos will be wowing the crowd with their diverse and engaging personalities while serving tasty main courses and desserts. The launch will be held on the April the 20th at No. 180 Albert Court Village Hotel, Unit #01-19C, Casie & Mum’s, from 12 noon to 8pm in the evening. this Charity drive.” said Neneko, one half of the Taiwan Celebrity Cosplay Duo. “We live in a fast paced society. People often forget to spend time contributing to a cause and as avid cosplayer, this is how we can play our part. It will be great to finally meet our Singapore fans too.” said Momo, who will be supporting Fuwa Fuwa Run debut event with Neneko. Fuwa Fuwa Run Maid Café is managed by Mascot Parade Limited -the organiser of COSMO Youth Parade and Republic Polytechnic’s Japanese Culture and Interest Group. The debut event is part of SHINE Youth Festival and is powered by National Youth Council and the Ministry of Culture, Community and Youth. Check out the private interview session with OMY here. Check out thier entourage coverage by The Cosplay Chronicles inculding the video here.